Many internal and external factors affect how we think, feel, and behave. Although alcohol and drugs have been studied in great detail and have been shown to have both positive and negative effects on our state of mind, they will not be discussed in this section. For more information about these, follow the link above. In this section, we are going to focus primarily on the internal factors that influence our state of mind, particularly relaxation and hypnosis. These two terms are not foreign to most of us, but they can be highly misunderstood. Let’s explore the concept of relaxation first. When studied in psychology, relaxation refers to a focusing on the mind and a relaxing of the body’s muscles. Research has shown that being too tense and/or living with too much stress has a significant negative impact on our lives. It can lead to physical illnesses such as high blood pressure, ulcers, fatigue, and headaches and many psychological issues, including inappropriate or misdirected emotions, confusion, difficulty concentrating, and burn-out. People utilize relaxation, in combination with stress management, to improve their quality of life, reduce the physical components of stress, and improve their psychological functioning. There are different forms of relaxation, including breathing exercises, deep muscle relaxation, progressive muscle relaxation, imagery, meditation, and yoga. Although each of these has different components, the main goal in each is to relax the body’s muscles and focus the mind. 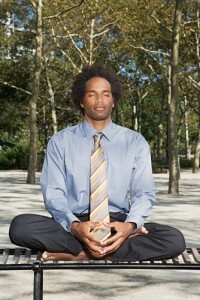 Since the body and the mind cannot be separated, most agree that both of these components must be present for any relaxation technique to work. Hypnosis is very similar to relaxation in that the same two components of physical and mental must be addressed together. Most professionals agree that hypnosis is a very deep state of relaxation where your mind is more focused and the connection between your thoughts, emotions, and behaviors are more clear. Hypnosis is not magical; it can not cause you to do anything against your judgment or ethical beliefs; it can not make you ‘cluck like a chicken.’ What it can do it help you to focus on specific areas of your life with more clarity and teach you how to do this in a positive manner. A hypnotherapist is typically a licensed professional who uses hypnosis as part of a treatment regimen for certain psychological disorders. It is rarely used as the primary treatment, but instead is most beneficial when used with relaxation and talk-therapy for a more rounded therapeutic approach. A hypnotist is a non-clinical term usually referring to an unlicensed individual who perform various forms of hypnosis for entertainment purposes. The two are quite different, the former is therapeutic and the latter is not designed to be so. Most people are able to be hypnotized, although many factors play a role in your individual susceptibility. These factors include your belief in hypnosis, your trust for the therapist, your sense of safety, ability to concentrate and focus your mind, and the absence of external factors such as noise, uncomfortable temperature, and physical comfort. The key to successful hypnosis is your ability to focus on your body and mind and to trust and believe in your therapist. Without these hypnosis will not work, at least not to the fullest therapeutic value.